The mystery of Montego Air Flight 828 and its passengers will continue. NBC has renewed their Manifest TV show for a second season. The drama will return as part of the 2019-20 season. The first season of Manifest averaged a 1.25 rating in the 18-49 demographic and 6.48 million viewers. The series is the network’s second-highest rated scripted series in the demo for the 2018-19 season. 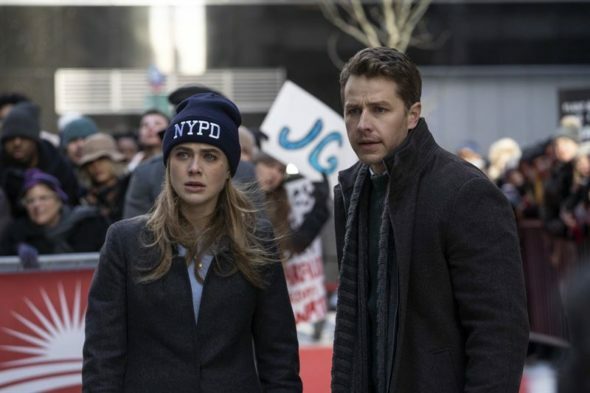 This season “Manifest” has averaged a 2.8 rating in adults 18-49 and 12.6 million viewers overall according to “live plus seven day” ratings from Nielsen Media Research, making it the season’s #1 new scripted series in 18-49 and the overall #6 entertainment series. “Manifest” has generated television’s biggest viewership lift going from “live plus same day” to “live plus seven day” Nielsens, adding 6.1 million viewers through seven days of delayed viewing (6.5 million to 12.6 million). Counting 35 days of linear and projected non-linear viewership, “Manifest” grows to a 4.86 rating in 18-49, nearly quadrupling its next-day L+SD 1.25 rating. What do you think? Did you watch the first season of Manifest on NBC? Do you plan on watching the second season? We will definately be watching the 2nd season. We didn’t miss an episode of season 1. My favorite show. Glad it got renewed, will be watching the second season. LOVE this show! So excited that it has been renewed! Great!!!!!! It is one of the best shows I’ve followed in years. A definite MUST watch!!!! Yes, I watched it. I liked it very much. Glad it’s coming back! One of my favorite shows! Thank you for renewal! We love this show! We will be watching the next season! Loved every minute of it!! When does it start again? !